CLEVELAND — The U.S. Coast Guard and local agencies rescued 46 ice fishermen from an ice floe that broke free near Catawaba Island, Saturday. At 8:13 a.m., Coast Guard Station Marblehead received notification from an Ohio Department of Natural Resources representative that there were approximately 100 people stranded on an ice floe and that there were an additional 30 to 40 people in the water. 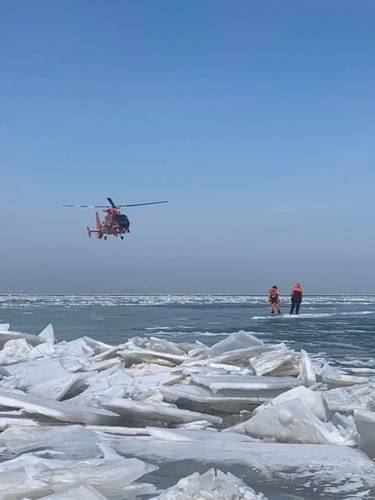 Coast Guard District 9 Command Center launched two 20-foot Special Purpose Craft–airboats from Station Marblehead, two MH-65 Dolphin helicopters from Air Station Detroit, and two MH-60 Jayhawk helicopters from Air Station Traverse City to respond for a mass rescue. 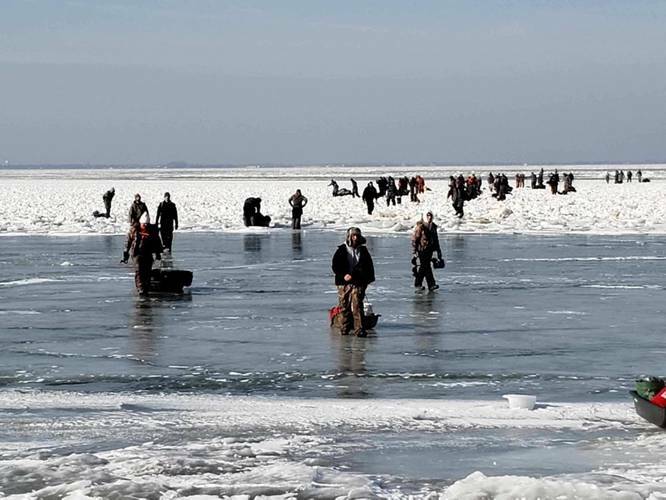 By approximately 11:15 a.m., all persons who had been stranded on the ice were rescued.